Hallooo dear Dodopadlers! It’s Miss Peabody. Those of you using your Dodo Pad and/ or Acad-Pad diary will notice on Saturday 8 May the 84th birthday of Sir David Attenborough, naturalist and television broadcaster. Whilst I was in London I saw an excellent film of David Attenborough‘s best on-screen moments in the Attenborough Studio at the Natural History Museum‘s Darwin Centre. He’s had some amazing animal encounters! His television programmes are the standard by which all nature documentaries are measured. No animal is too small to be insignificant, no environment is too harsh or remote to be explored. His infectious delight at the wonders of the animal world make every programme a joy to watch. 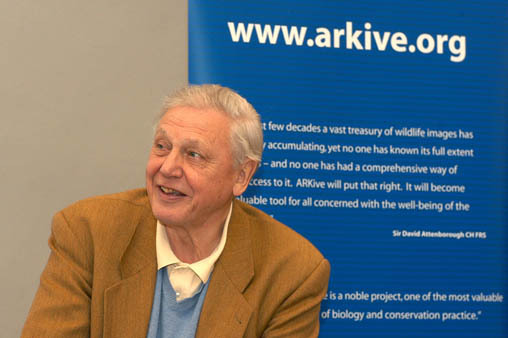 Sir David is also passionate about wildlife conservation and respecting the environment, and does wonderful work to educate the public about these topics. He is outspoken on climate change (even publishing newspaper articles to urge readers to take action). He has won numerous awards for his work both on and off screen, and has a fascinating perspective on the world. Sir David shows absolutely no signs of slowing down. He will host a new television series, on the very first life forms on Earth, next year. How terribly exciting! I will certainly plan to turn on and tune in. A very Happy Birthday Sir David! Wishing you many more wonderful years to come.